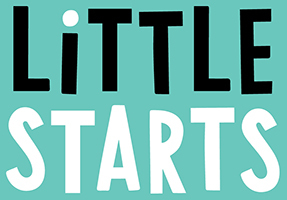 Little Starts gift cards was founded with a simple aim: to help people buy baby, toddler and kids classes as a gift, instead of more clothes and toys. What’s wrong with clothes and toys? Nothing, of course every child needs them! But how often have you bought clothes or toys that look nice but you can't be sure will be used? Maybe you remember how it felt to be home alone, exhausted and with a crying baby, wanting to get out of the house, have some fun and make friends but not knowing where to start or having the money to pay for classes? Perhaps you find yourself stuck for ideas of what to suggest when asked what your kids want for their birthday or Christmas, dread the wasted toys and clothes and enjoy experiences over the accumulation of 'stuff'? Little Starts gift cards was founded to help solve these problems - when you give someone a Little Starts gift card you are giving them a gift that helps them get out and about, make friends, enjoy quality time, helps them with the cost and you can be sure wont be wasted. And they help with our guilt – as Little Starts gift cards are made from quality sustainably sourced card (and our e-vouchers are made of magic internet dust) we feel we our doing our bit to help people reduce the plastic they have in their homes! Key to our ethos is supporting flexible working – that means helping to sustain and grow the businesses of our class providers, many of whom do what they do to work flexibly, but also by creating flexible working opportunities in our business as we grow. We are always on the look out for talented people to join us. If you would be interested in working with us, drop us a line here. 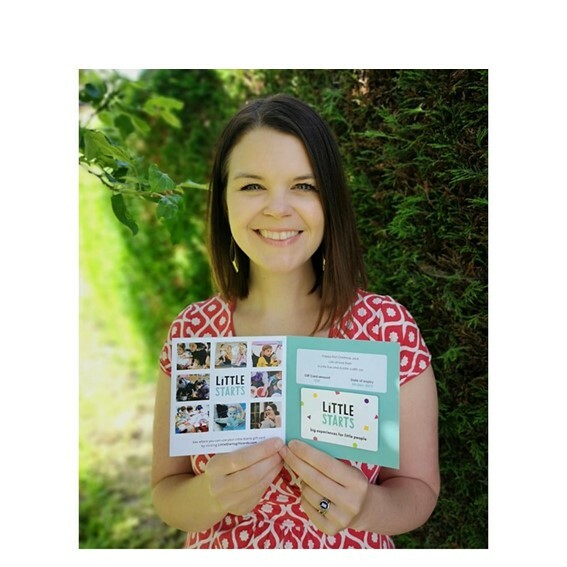 Little Starts gift cards was founded in 2018 by Katie Lavis, after having her first child, Olly, and attending pretty much every class going to get her out the house, make new friends and generally keep her sane!